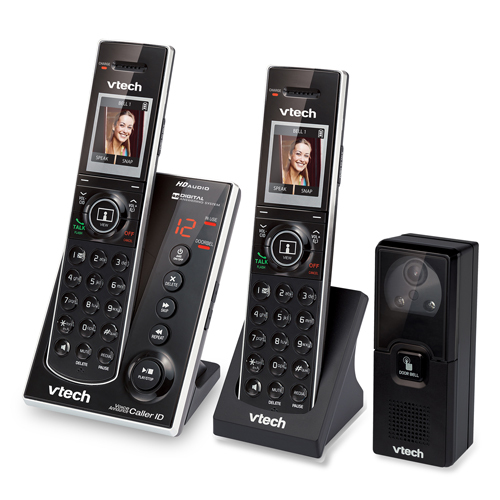 The VTech Audio Video Doorbell Phone System is a great gift for Dad which provides a better way to approach visitors, using an instant photo sent to the phone handset and optional streaming video. 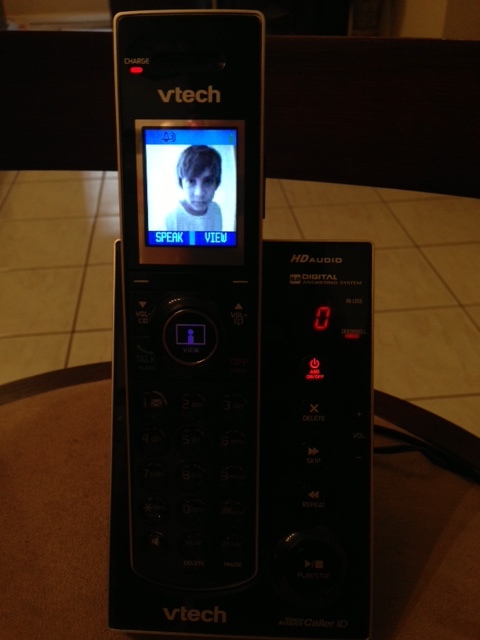 Dad can easily talk to visitors or simply observe them from inside the home. Each set comes with 2 handsets and the doorbell. Setting up the phones was super easy… just install the batteries, plug in the units, connect the phone line, set the time and date and then record your message. Next you will need to install the doorbell/camera which works wirelessly. Basically you just need to mount the unit outside where it will most likely take pictures of people as they ring the doorbell. Once someone rings the doorbell, it will notify you by making the doorbell sound and take their picture which shows up on the phone handset (see below). And because it has automatic night vision, you can even see people after dark. If you want to speak to the person you can. You can even use the 2 handsets as an intercom and speak from room to room. Another cool feature is that when you come back home from being out, you can see who came to your door by checking the handset (it can store up to 100 photos). And if you have caller ID, you can set names and phone numbers into the phone so that it will announce who is calling through the speakerphones !!! SOUNDS REALLY COOL, RIGHT ?!?!? Originally published on 2013-06-05 by Amy at Who Said Nothing in Life is Free .